Thursday, June 6, 7pm: There Are No Rules! A screening of Dutch experimental films curated by Simona Monizza (EYE Netherlands Film Museum). An Örphans opening reception follows in the lobby and al fresco bar area (with drinks & nibbles) at das Österreichische Filmmuseum. 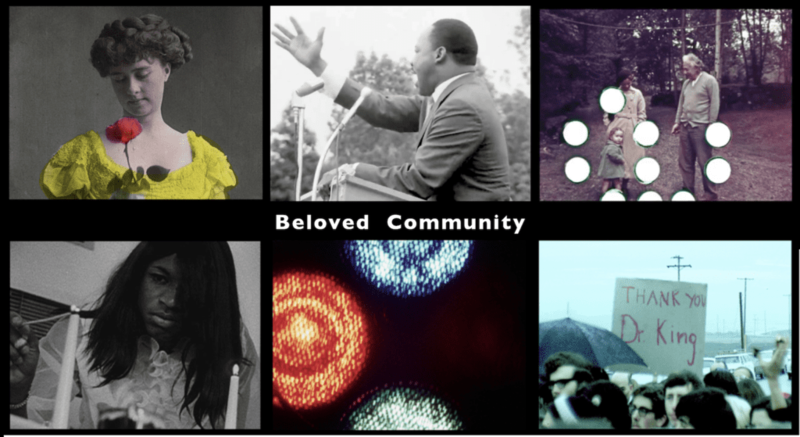 Among the presentations and screenings slated for RADICALS throughout Friday, June 7 and Saturday, June 8. Sarah Keller (U Mass Boston) introduces filmmaker Barbara Hammer and three of her earliest Super 8 films. 3’ each. Becca Bender, while an NYU Moving Image Archiving and Preservation student, uncovered a cache of 150 reels of 16mm films in the Lincoln Center archive. She identified them as those of Leopold Godowsky Jr. (1900-1983), noted musician and co-inventor of the Kodachrome film process. With archivist Bonnie Marie Sauer, she reunited the collection with the estate. This mosaic shows Godowsky’s father (famed concert pianist) and wife Francis Gershwin (sister of George and Ira), as well as family friends Albert Einstein, Leon Trotsky, and Arturo Toscanini. 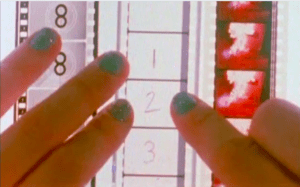 For this screening only, a 16mm silent fragment from EYE is accompanied by non-synchronized audio recorded at the same place and time by KPFA radio. On January 14, 1968, Dr. King visited Joan Baez and others arrested for anti-war protests. He spoke to those keeping vigil outside. The film ends with David Harris (Baez’s husband) meeting King for the first time; KPFA captured their informal conversation at the same moment. October 18, 2018: Now that the two screenings are done, I’ve updated the filmography and comments for the record. At the conclusion of the October 15 show, Film Forum announced this screening would turn into a semi-annual series. That’s what Bruce Goldstein, Director of Repertory Programming at New York’s influential* nonprofit indie moviehouse Film Forum, entitles our show of 22 entertaining but previously neglected films shot around the city from 1899 to 1979. Tickets are available online at or at the box office. Introductions by Bruce Goldstein (Film Forum) & Dan Streible (NYU Cinema Studies / Orphan Film Symposium) + special guests. Piano accompaniment for silent films by Steve Sterner. * Across Brooklyn Bridge (March 1899) American Mutoscope Co., file from Bill Morrison of the BFI master made from the original 68mm film print. * New Brooklyn to New York Via Brooklyn Bridge no. 1 (September 1899) Edison Co.
* The Deceived Slumming Party (1908) Biograph Co. Excerpt of one of the first samples from LOC scanning the original paper prints (rather than the 16mm films derived from them in the 1950s and 60s). Film historian Tracey Goessel is working with LOC on this project, prioritizing the Biograph titles in the Paper Print Collection that are not found in the Museum of Modern Art’s Biograph Collection of 35mm film materials. * Actors’ Fund Field Day, at the Polo Grounds, New York City, August 19, 1910 (1910) Vitagraph Co. of America, with rare footage of two legends actor Bert Williams and sharpshooter Annie Oakley! Scanned from an original nitrate print. Vitagraph did not deposit a paper print for copyright. Dawson City Collection, three newsreel fragments, selected by Bill Morrison (maker of the acclaimed Dawson City: Frozen Time) from the Library and Archives Canada. * NYC Street Scenes and Noises outtakes (1929) Fox Movietone News, University of South Carolina Moving Image Research Collections; LOC made a new 35mm print from MIRC’s original negative. 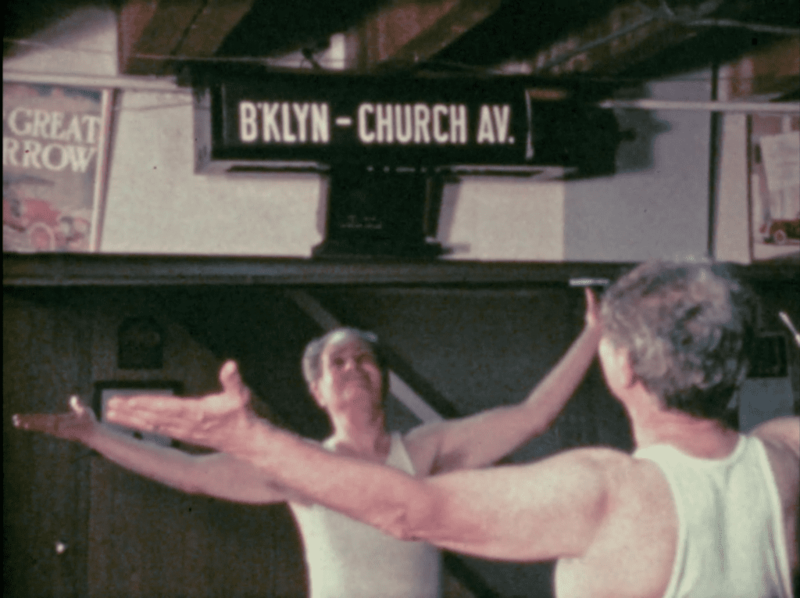 * Broadway by Day (1932) Magic Carpet of Movietone, 16mm from Richard Scheckman’s collection. A Blackhawk print. * Bronx Baby Parade outtakes (1934) USC MIRC Fox Movietone News Collection. Shot outside the Loew’s Grand Theater on Jerome Avenue, June 29, 1934, ballyhoo for the Paramount release Little Miss Marker and new box office sensation Shirley Temple. Also includes a very young girl doing a Mae West impression, replete with cigarette holder and West’s catch phrase “Come up and see me some time.” [!] Watch here. * Venus and Adonis (1935) Harry Dunham & J. V. D. Bucher’s amateur surrealist film. Music by Paul Bowles. Cast: Victor Kraft (violin prodigy, photographer, and Copland’s longtime companion); Erick Hawkins (as Eric Hawkins; dancer later married to Martha Graham), and Anne Miracle (muse for a Virgil Thomson composition bearing her name). A restoration-in-progress using the Library of Congress’s silent 16mm print from the Aaron Copland Collection and the Museum of Modern Art’s print with sound. Research by Blake McDowell for his NYU MIAP thesis led to this rediscovery. * EPH 4/27/16 (1979) Ephraim Horowitz’s masterful amateur film memoir. Thanks to Genevieve Havemeyer-King for tracking down this long-sought film. Print scanned by Colorlab for Fandor.com. Monday intro by Kimberly Tarr (NYU Libraries). Read about its preservation in time for the centennial of Eph’s birth. After the second screening, Bruce Goldstein declared the Horowitz film was “a sensation” for the Film Forum audiences. Look for more Eph screenings in the future. ________________________________________________________________ Ephraim Horowitz, at age 63, in his film EPH 4/27/16..
* Three American Beauties (1906) directed by Edwin S. Porter and Wallace McCutcheon. A stencil-colored Edison Mfg. Co. beauty with the complete original ending, recently restored by the National Library of Norway from its unique hand-colored 35mm print. The surprise ending is not seen in the various video versions found on the web to date, all of which are from DVD releases of the Museum of Modern Art’s beautiful but different 35mm copy. (The Library of Congress has a black-and-white 16mm print in its George Kleine Collection, made from a 35mm monochrome nitrate print that was destroyed after being copied). The performer in the film has not been identified. Who is she?? Thanks to the film whisperers and NYU alumni of the Moving Image Archiving and Preservation Program whose research when they were students led to some of these discoveries: Becca Bender (now Film Archivist & Curator of Recorded Media at the Rhode Island Historical Society), Genevieve Havemeyer-King (now of NYPL’s Preservation of Audio and Moving Image Unit), and Blake McDowell (now media archivist at the Smithsonian National Museum of African American History and Culture). In 2003, as part of the first MIAP course offered, Jeff Martin and Cinema Studies PhD student Jennifer Zwarich researched NYC Street Scenes and Noises and wrote this report with Evan Friss (NYU master’s student in the Department of History; now an associate professor at James Madison University). The NYU MIAP research projects were done in tandem with the University of South Carolina’s Orphan Film Symposium using film archival material in the USC Newsfilm Library. In 2004, the lab Cinetech in Los Angeles did pro bono preservation of the two rolls of film and made a 35mm print for the 4th Orphan Film Symposium. MIAP students and faculty (Howard Besser, Mona Jimenez) participated in that symposium in Columbia, SC. Today the collaborations between NYU Cinema Studies’s MIAP Program and USC MIRC continue. Memorable shorts shot in New York City, 1899 to 1979. * The Deceived Slumming Party (1908) Biograph Co.